Item Number: 266-7-825 19383 Actual Weight: 0.1 lb. 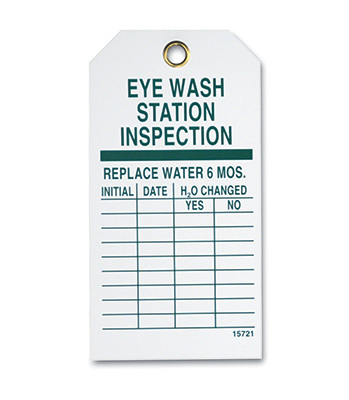 Document inspection dates for eyewash stations. 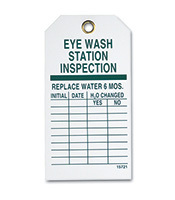 Tag resists chemicals, grease, and weathering. Includes nylon tie.